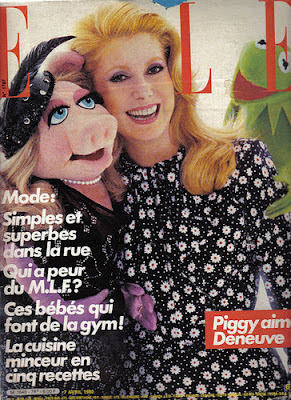 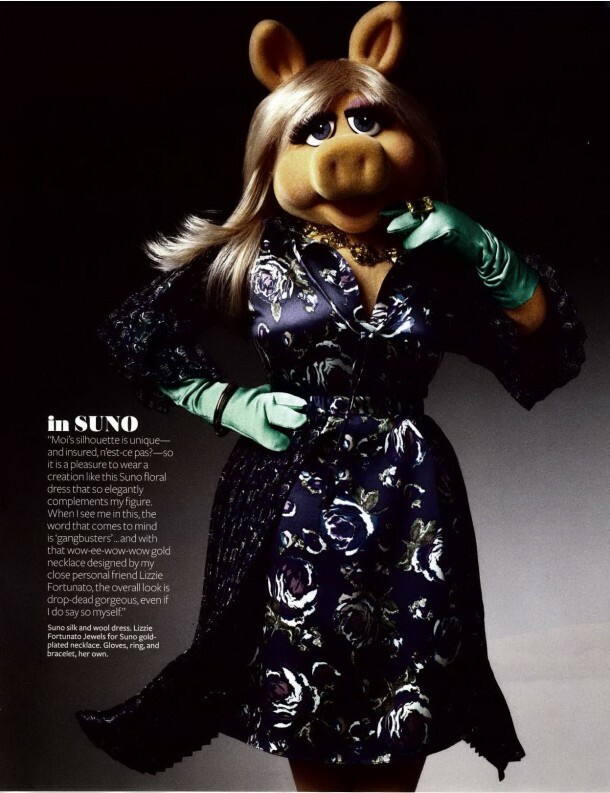 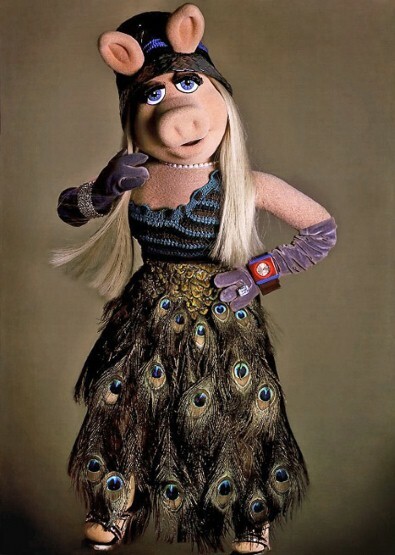 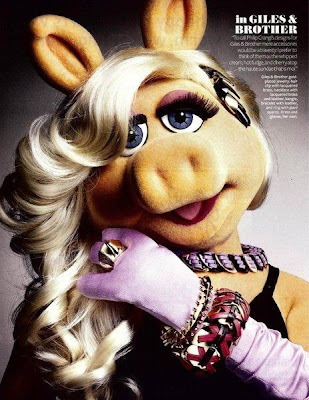 Fashion icon Miss Piggy plays the editor of French Vogue in the new Muppets movie, and to promote the film, she's featured on the cover of Sunday Style, in an editorial wearing exclusively made Jason Wu, Prabal Gurung, Brian Atwood, Opening Ceremony, Giles & Brother and Philip Crangi, and offering hilarious advice and fashion tips. Make sure you click to enlarge and read. 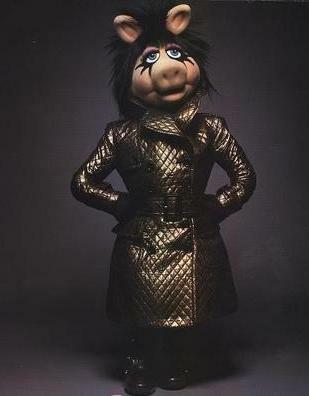 Riding the wave of success, she has also created a range of makeup for Mac. 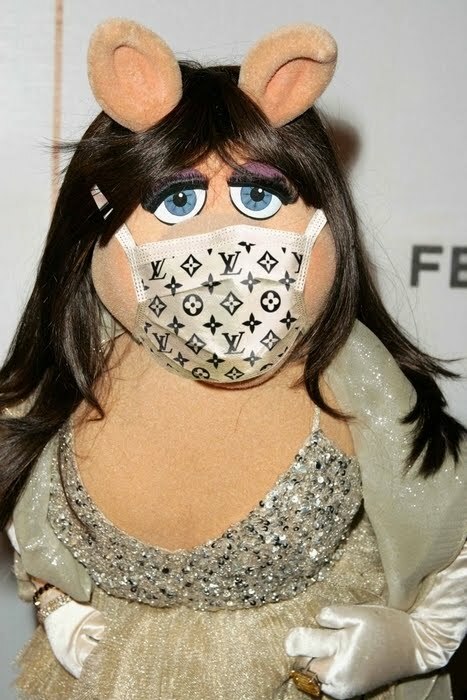 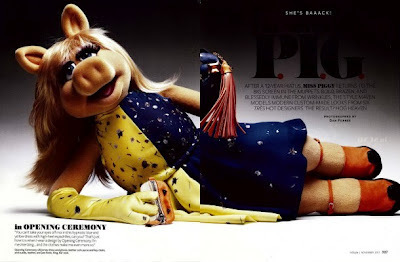 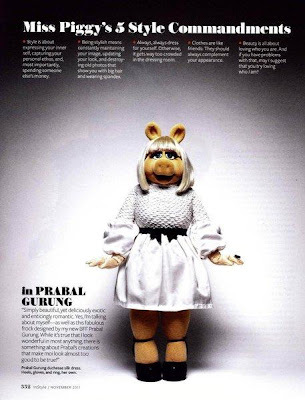 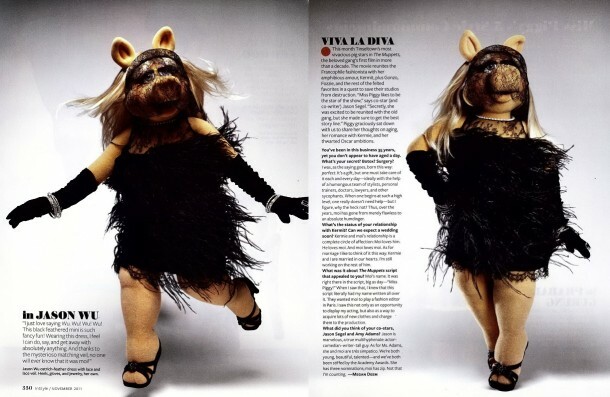 This isn't the first time Piggy has featured in a high fashion shoot, several years ago she featured in three shoots for Katie Grand's Pop magazine, wearing custom made Prada, Louis Vuitton, Miu Miu, Burberry Prorsum and Bvlgari jewellery. 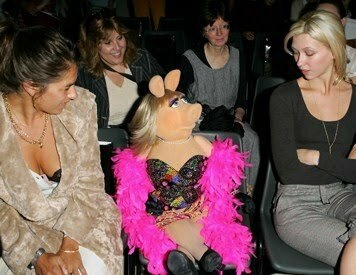 Miss Piggy with Tracey Emin at Julien Macdonald's show, 2005. 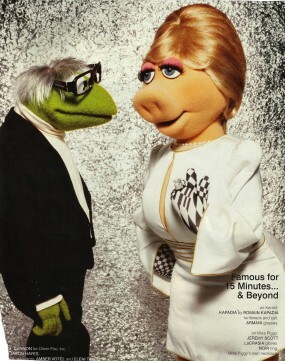 What I would give to go for drinks with them both. Miss Piggy with Giles Deacon, wearing a dress from his ss12 for the uk premiere of the new film. She also wears Zac Posen and Louis Vuitton during the film. Miss Piggy for Jeremy Scott. 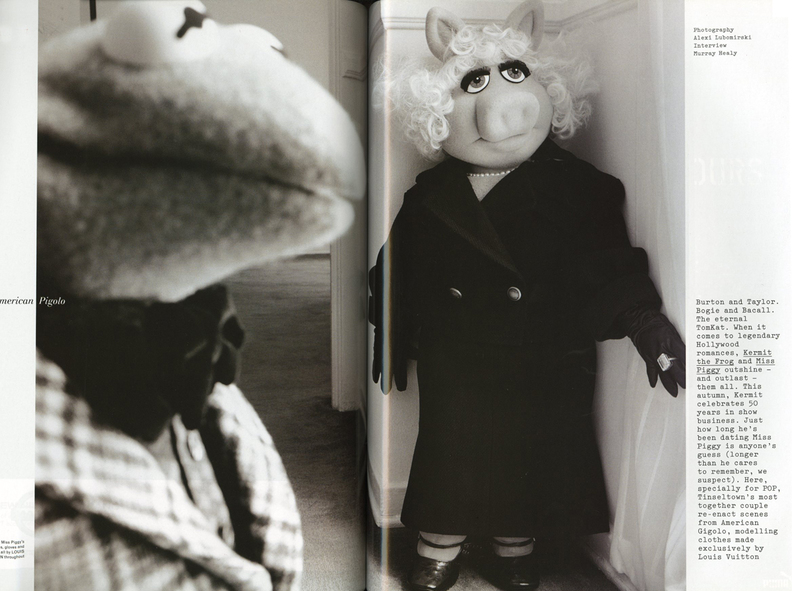 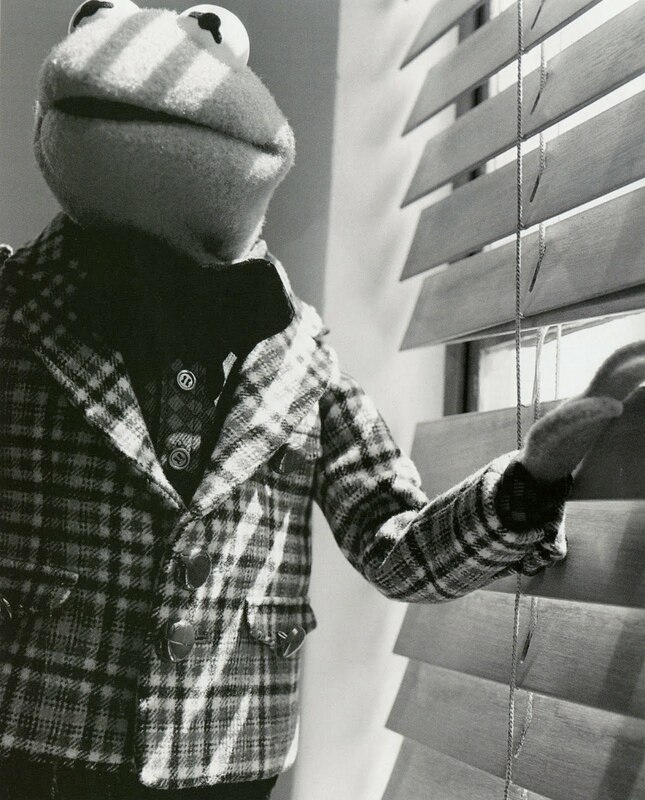 Scott recently dressed Miss Piggy for a photoshoot with Kermit the Frog as Andy Warhol. Among the accessories Piggy wore to compliment Scott's outfit were gloves by LaCrasia and a ring by Noir. 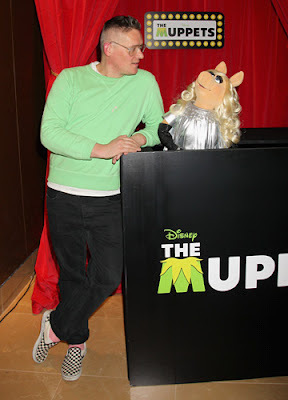 He has dressed Piggy on more than one occasion, including her front row appearance at his fashion show and for The Muppets world premiere. 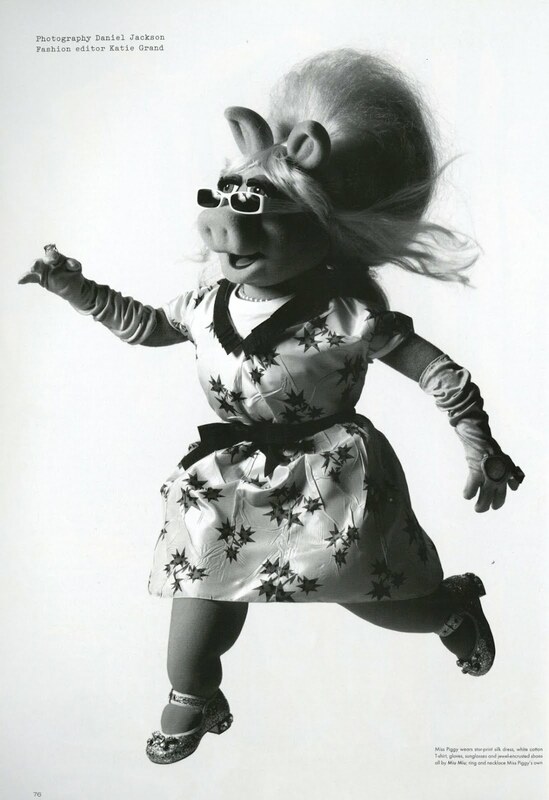 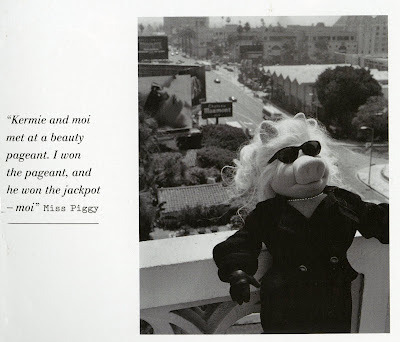 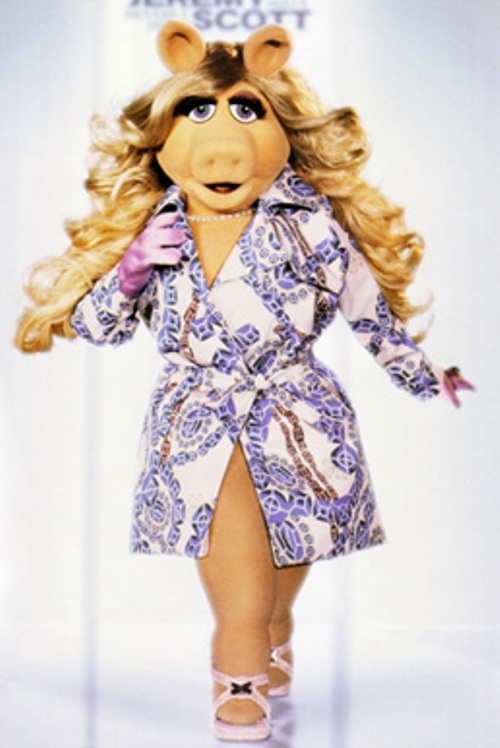 View a slideshow of Miss Piggy's fashion moments here.